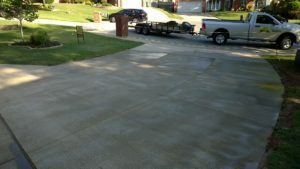 Whether you’re building a new property in Oklahoma City, or remodeling an old one, a concrete driveway is always a nice addition, and today is the right time! Celebrating our 40th year of service, Bill’s Custom Concrete & Yard Drainage provides you the best option for installing a concrete driveway in Oklahoma City. With thousands of concrete projects under our belt for the past 40 years, we have provided Oklahoma City Metro residents premium quality solutions for all kinds of concrete needs. Call us right away for a free quote at (405)755-3975. We promise you all quotes are free, fairly priced, and honest to goodness. 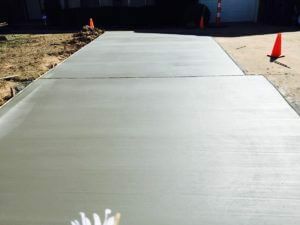 – Totally customized and unique concrete work just for you, we will show you our previous work and brainstorm with you to build the perfect concrete driveway for your Oklahoma City home. Concrete on its own is already one of the most durable materials used to build a driveway, but we made sure to use the strongest and most durable concrete to ensure the durability of your concrete driveway over the years. That way, your driveway can withstand the heaviest of pressure and the huge changes of temperatures that are common in Oklahoma City, Oklahoma.